Whether you want to light up your workspace or you simply want to decorate a desk, the right lamp is an essential element of a good working area. Hence, it makes sense to do a bit of research when looking to buy a desk lamp in order to find one that fulfils your purpose. 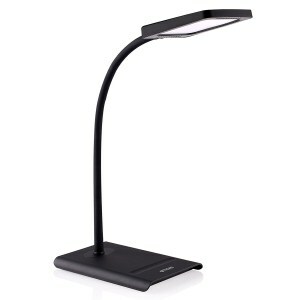 A desk lamp is mainly used for task lighting or for illuminating a specific area when typing, writing or reading. It can also be used for ambient or accent lighting if you are particular about the design of a room. You might want to consider choosing a desk lamp that can fulfil various purposes, so the consideration when buying one is its purpose. Desk lamps can be used on a night table, in an office or anywhere a good light close to a source is preferred. Aside from helping you accomplish tasks, they can be very stylish for they come in various designs to add decor to a room. Desk lamps come in a range of sizes, shapes, styles, colors and brightness levels. You’ll find some with added features for added functionality. Whether you want one that does not take so much space, a lamp with energy-efficient lighting or one that has adjustable light modes, you can surely find it. This product guide helps you choose the best desk lamp by narrowing down your options based on the most important considerations. We have also written a complete guide about best floor lamps. Desk lamps can be differentiated by structure, lighting, purpose and power supply. The classic style of desk lamp is one with a flat base platform and flexible arm that runs all the way to the lampshade. Clamp Based Style. These lamps can be attached to the edge of a table using a screw clamp and are sometimes equipped with adjustable angle mounting clamp brackets. Incandescent. Classic styles often feature incandescent light using a retro Edison lamp or a regular bulb that provides warm heat and consumes as much as 60 watts of power. Halogen. Halogen light produces powerful flow of diffused light that does not flicker and is good for the eyes. Fluorescent. This light uses lesser energy, about 2 to 2.5 times less power. It also does not heat up but flickering and pulsating is typical. LED. Contemporary styles use LED lighting, which is the energy efficient option for lamps. Autonomous. This type is powered by built-in batteries. Main power supply: this type is connected to the main circuit by a power cord. Decorative: desk lamps that are mainly used to complement the overall look of a room and illumination only comes secondary. Working Desk Lamps: these desk lamps are used for bright illumination of a work space. 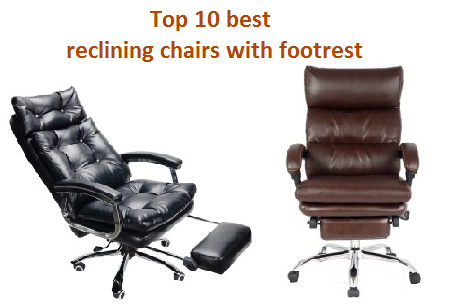 These styles feature swivelling parts for better adjustment. Desk lamps have various functions and qualities that can personalize your experience. Before buying one, ask yourself the following questions first. It’s good to know where you intend to place your desk lamp to be able to choose correctly. For instance, softer light is needed for lamps to be placed on a bed side table than in an office. Identifying your needs will help you light up a space more efficiently. You might also want to consider the amount of space you want to illuminate so you can choose the right style of lamp. If you want to light up a bigger desk you can go for a tall lamp with adjustable stand. If you aim to use a desk lamp for reading, ( We have also written a complete guide about best reading lights) you might need a brighter light to reduce eye strain. 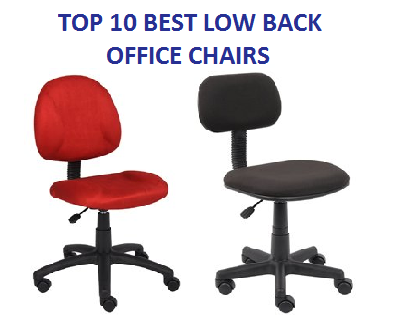 For areas where others are also working, you need a concentrated stream of dim light. Modern desk lamps offer different brightness modes, allowing you to use one that suits your needs. You might want the flexibility of desk lamps that can be positioned at different angles if you do different tasks. Is there a power source? If the area where you intend to place your desk lamp is not close to a power source, you have the option to use a battery-powered lamp. Some models have a USB adapter which can be powered with a computer. The style of a desk lamp to buy is based on personal preference, but a good quality desk lamp possesses certain characteristics that make it worth the investment. 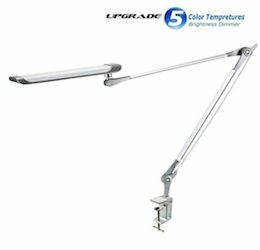 These include a good light ratio, adjustable arm and head and dimming features. Good light ratio helps reduce eye strain when using a computer and desk lamp at the same time. You need a 3:1 ratio of light, which is 20-25 footcandles from the screen and 50-75 on your lamp. Lamps with adjustable arm and head prevent glaring. Lamps with two-position switch or dimmers are also good. 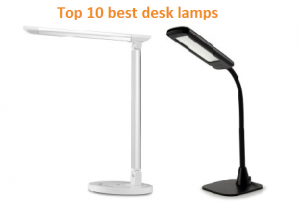 There are many desk lamps on the market and after careful research, we have analyzed, reviewed and ranked the top 10 best ones. TaoTronics is a manufacturer of small electronics and accessories and this desk lamp offers the best value for its price and features. It features 4 different light settings, just what you need for working, reading or relaxing. When you buy, you will receive a lamp base, LED lamp, user manual, power cord and microfiber cloth. It measures 18.87 X 7 X 2.5 inches and weighs 3.3 pounds with USB voltage 5V/1A and voltage of DC12V/1.5A. Operate temperature is -10℃～ 40℃ and lumens of 530 lumens. The upper portion of the desk lamp is made of lightweight, shiny plastic. The base is made of a heavier plastic that works as a good base for it won’t easily fall off. Since the plastic is shiny, it easily gets smudges and fingerprints, probably the reason why a microfiber cloth is included so you can just wipe the surfaces clean. The plug is located at the back of the lamp. The lamp rotates 180° at the base and 40° at the pivot point just above the settings panel. At the pivot point, the head and arm of the lamp meet. This part also adjusts to 140° to adjust to your need. An additional USB charging point is located at the lower right side of the lamp, allowing you to charge your gadgets. The LED light is designed in three rows. The two outer rows are colored blue while the middle rows are yellow. They work together to provide different brightness and colors. They are slightly recessed for better lighting. The modes include reading, studying, relaxation and bedtime. Reading mode features a cool white light. Study mode produces powerful white light; relax mode features a combination of yellow and white shades while sleep mode produces soft yellow light. This desk lamp is foldable, making it easy to store. You can set the timer and it automatically turns off after an hour, so when you use it before bedtime and forget to turn it off, it will shut down by itself. 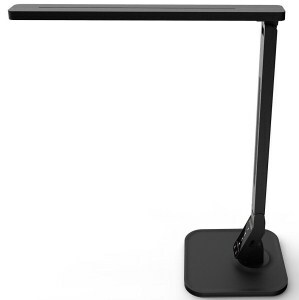 Aside from being stylish, this Korea-made LED desk lamp offers impressive customization and energy efficiency. Weighing only 2.4 pounds and measuring 13.8 X 7 X 17.7 inches, this corded-electric lamp uses 11 watts or less of power and provides different levels of light. Choose your preferred lighting mode and it will comply with your request. The main arm can adjust by a degree or two from the 90° position and about 40 forward. The upper arm carrying the LED can adjust all the way until it is parallel to the supporting arm. The desk lamp can rotate 90° from the center to either direction, allowing you to direct the light where you need it. The LED lights are placed in 9 by 3 rows. The center features very warm yellow while the outer rows are intense white. It has a frosted diffuser that helps distribute light evenly and protects in prying fingers. Like the TaoTronics Elune, Softech allows 4 light settings. The bedtime mode produces warm yellow light of 2300 Kelvin. The relaxation mode has twice the yellow light and the white LED is on, producing about 3300 Kelvin brightness and 300 lux (level of illumination). Reading mode produces dimmer yellow and brighter white, which is like daylight with 5500 Kelvin color temperature and around 500lux. In study mode, yellow is reduced and white is increased. This mode is the whitest and brightest light of the four, which is around 6500 to 7000 Kelvin and 600 lux, which comes close to natural light. 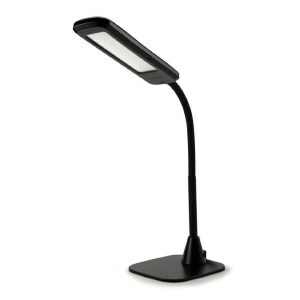 Jebsens Z6 desk lamp is designed for professional use. It is best for home office, showrooms and art workshops. The maximum power consumption is 12-watts, while the LED lamp illumination is up to 1500 lux. It is equipped with state-of-the-art LED chip, so it is able to produce the highest illumination setting. It features 5 dimming touch regulate color temperatures, including relaxing white light (3000 Kelvin), heat white (3500-4000 Kelvin), natural light (4500-5000 Kelvin), daylight white (5500-6000 Kelvin) and cool white (600006500 Kelvin). 300 to 750 lux is ideal for working. It is not harsh to the eyes, and boasts no flicking, no glaring and no radiation. The LED bulb can last up to 25 years. The LED chip helps the light to be distributed evenly. Weighing 3.1 pounds and measuring 25 X 5.5 X 12 inches, the Jebsens Z6 arm lamp is made of metal with matte finish. The lamp has no base, but a separate clamp is sold separately saving space on your table. 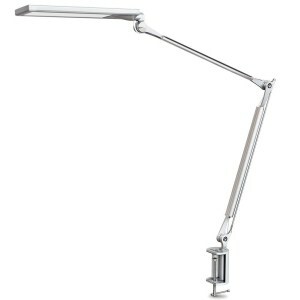 It has adjustable and extendable long arm that allows you to light up a larger area. The sturdy clamp supports up to 2.5 inches desk. The lamp is like a modern version of desk lamps used by architects and draftsmen and is ideal for those who are working on a large area. BYB-E430 is an eye-caring desk lamp that boasts side-emitting technology that emits natural, flicker-free and ghost-free lighting. Even if you work for hours, you will not strain your eyes. The package includes the desk lamp, a metal clamp that is compatible to up to 2.26 inches thick desk, an AC 100-240V adapter with a cable length of 1.5 meters, arm adjustable tools, user manual and cleaning wiper. Like the Jebsens Z6, this product is ideal for architects or professionals. The highly efficient LED bulb consumes 80% less energy than traditional bulbs and can last for up to 50,000 hours. It has no stand but its clamp is highly adjustable. 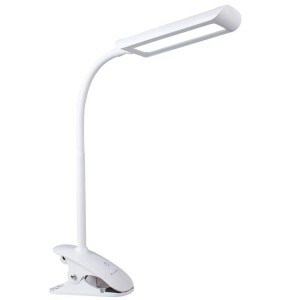 BYB-E430 has a double-hinged arm, rotating base, and swivelling panel that allow lighting up anything. The lamp is made from high quality aluminium alloy and sleek brush finish. It features 4 lighting modes that suit your need. These include daylight of 6200 Kelvin, cool white of 5200 Kelvin, warm yellow of 4200 Kelvin and cozy yellow of 3200 Kelvin. It also features 6 brightness levels with dimmer so you can choose to brighten or dim the light. The slim arms and head are rotatable so you can get the perfect lighting angle. It uses touch control system that allows you to adjust settings easily. The OxyLED C2 is one of the best products for the price. For a few dollars, you’ll get a subtly designed, functional reading lamp with eye-caring features. Like other LED lamps, it can last for up to 50,000 hours without consuming so much power for it only consumes 5 watts of energy. It features a reflective lighting source, producing natural and non-flickering light that does not strain the eye. The gooseneck design of the neck allows it to be adjusted easily. OxyLED C2 offers three brightness settings and a daylight optimum brightness. It is portable; you can plug it when working or bring it with you on your bedside to read before sleeping. It is lightweight, weighing only 1.2 pounds and is compact in size. It is black in color with a painted finish. 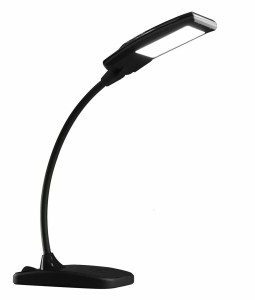 Weighing only 2.0 pounds and measuring 18.5 X 7 X 2.5 inches, this lightweight, compact desk lamp is corded with touch style switch. It uses 10 watts, is made of plastic and painted finish. The product is ideal for use by students or professionals who work late hours. The bottom of the base is made of rubber so it stays in place. Since it has a LED bulb, the light consumes 50% to 90% less energy than traditional bulbs. It has dimmable lights that are safe for the eyes and good for the environment for you can save power. LAMPAT desk lamp has 4 lighting modes and 5 brightness levels to suit your need. The reading mode produces all yellow and white lights with 4300 to 5300 Kelvin. The study mode produces white with little yellow light, with 6000 to 7000 Kelvin. The relax mode uses mostly the center yellow lights and a few white lights, with 4300 to 5300 Kelvin. The sleep mode uses only the center yellow lights with 2500 to 3300 Kelvin. It can charge your other electronic gadgets for it has a USB port. The maximum brightness is up to 530 lumens. If you are using it before bedtime, turn on the auto timer and it will automatically shut off after an hour. This table lamp is another one from TaoTronics, one of the leaders in home lighting products. This model is one of the most popular desk lamps they have for price and features. Weighing only 2.5 pounds and measuring 17.5 X 9.2 X 3.4 inches, it won’t take so much space on your workstation. The materials are mainly plastic and metal with a matte finish and silver shade. The light direction is adjustable, with LED bulbs that are dimmable. The 12-watt electric lamp has touch style switch. It boasts comfortable ghost and flicker-free lighting, allowing you to work, study or relax without stressing your eyes. This desk lamp lets you use it easily for you can adjust it to the left or right for up to 90° or up and down for up to 135°. With a simple slide of your fingers o the touch pad, choosing the setting is a breeze. The lighting modes include cool white, white, yellow, natural light and warm yellow. This allows you to choose the color temperature you find most comfortable for an activity. It also boasts 7 brightness levels. The modern design makes it suitable for most room types. The USB charging port of 5V/1A lets you charge your tablet or smartphone in it. The package contains a user manual, cleaning cloth and power adapter aside from the desk lamp itself. This desk lamp is ideal for use before bedtime even if it does not come with auto-timer for you can set it to produce a dimmer light then just turn it off. The base is made of durable rubber that stays in place, so you don’t have to worry about it dropping easily. The eye-caring desk lamp comes in various colors that suit your style. 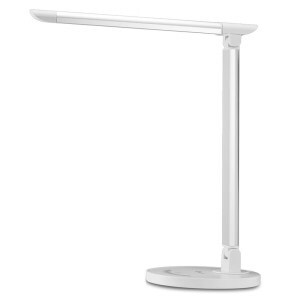 The TROND Halo LED desk lamp is one of the best options you have for desk lamps for it comes with impressive features but is priced competitively. Measuring 19 inches high, 7.48 inches long and 5.12 inches wide, this lamp won’t take much space from your desk. Weighing only 1.5 pounds, TROND Halo is very lightweight. The China made product is made of plastic with matte finish. It uses 12 volts and a maximum compatible wattage of 10 watts. The total flux has a maximum 1000 lumens, illumination of 1000 lux at 30 centimetres and color rendering index of over 85. The operating temperature is -10°C to 50°C. TROND halo is eye-friendly. The innovative light is flicker-free, ghost-free and non-glaring. It also does not have harmful chemicals such as mercury so it does no harm you or the environment. The lamp brightness is increased by 50% from its initial version but it consumes less power with the help of a premium diffusion film. The latter also helps increase visibility by channelling the light efficiently, so a larger area is lighted. 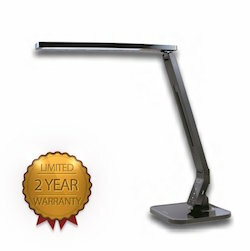 Designed with a flexible gooseneck, this desk lamp is fully adjustable. The base is slim and rubberized; it fits perfectly on your desk or nightstand. Adjust it easily to suit whatever you are doing and not worry about it being damaged for it is constructed with a sturdy material. The three lighting modes include reading, relaxing and working, which you can choose by simply pressing the on/off switch. Choose the level of brightness from 7 different dimmers by simply sliding your finger on the controller groove. It can remember the last setting you have chosen. The package includes a 6-feet detachable power adapter, warranty and welcome guide. KEDSUM is a great option if you have a particularly small work space. It is only 10.59 inches long, 5.71 inches wide and 3.07 inches high so it will not take up so much space. This also makes it perfect for nightstands. The material is plastic with matte finish, so you won’t have to worry about smudges or fingerprints. It has a touch control switch, adjustable light direction and 7-wattage consumption. It operates at 5000 Kelvin color temperature spectrum, which is close to peak daylight. This means the lamp produces clear, white light, which is ideal for reading purposes. If you love photography, this light is also perfect to bring out the color of objects. However, this is not recommendable if you aim for accent lighting. This desk lamp is not designed with a stand, only a large sturdy clip that can attach to up to 2.5 inches table. The gooseneck is adjustable; you can point it to where you need light. The metal house adjusts to up to 360°. The LED bulb uses 75% less energy than its incandescent counterpart, saving you money. The input voltage is AC100V to 240V. A power adapter is included in the package. KEDSUM features 3 levels of brightness so you can adjust it according to your level of comfort. Change the settings easily by a simple touch of the control panel. You can be certain that it won’t strain your eyes for it is made of natural, non-flickering source. The minimalistic design makes it suitable for most room styles. Another one from OxyLED makes it to the best desk lamps list, and this one also features a simple style. You cannot underestimate how this simple item can work for you. When you purchase it, the package contains a power adapter, warranty card and instruction manual apart from the lamp itself. The top part of the base is made of rigid, shiny plastic while the head is made of matte plastic. The base has a rubber pad that keeps it in place. The flexible, rubber-coated arm bends in different directions, allowing you to use it with ease. Weighing only 2.8 pounds and measuring 12.6 inches long, 6.7 inches tall and 3.5 inches wide, OxyLED T120 is light and compact. T120 draws 7-watts power, with the DC power port found at the back of the base. The front part houses the circular control panel with stationary dial. When the lamp is plugged but not switched on, the power indicator shines red. The desk lamp offers 6 brightness levels which you can control in two ways. One is by simply tapping the ring at the middle or by sliding your finger around the dial. Two different shades of light can be emitted. It is safe for the eyes, for it uses a light softening technology, so you can be sure there are no ghosting, no glaring and no dark area. The cool color temperature emitted by OxyLED T120 is at 5000 Kelvin while the warmer color is at 3000 Kelvin. The latter is ideal for reading or other activities. It has a memory function that remembers the last setting you used. The LED bulb can light for up to 25000 hours or 10 years. With so many options available, it can be confusing to come up with one choice. When it comes to style and finish, there is no right or wrong for it is personal. You can freely go with one that best matches your décor or personality. However, in other areas, it helps to do a bit of research. For instance, the right amount of lighting is necessary for protecting your eyes especially if you will be using your desk lamp for long hours. Desk lamps for aging eye are those that feature reduced glare. Size is also an important consideration especially if you intend to light up a larger area. Take note that the lamp should be positioned above your head. The light source should be out of your line of sight. Most modern lamps make use of LED bulbs not only because they are energy efficient, but also because LED offers more variety in terms of color temperature and Color Rendering Index (CRI). Desk lamps are an integral part of a workspace so when it comes to buying one, it is best to choose a product that suits your need. If you are using a desk lamp on your table or nightstand, it is more than just for show. It has to perform its task well. Illumination is quite challenging for it should not strain the eyes. In this regard, it pays to choose desk lamps that feature eye protection technology, with no glaring and flickering issues. Task lighting gives you more control over the direction and amount of light so when choosing a desk lamp to buy, consider the size of the area to light up, the adjustability of the lamp and the right type of lighting you need. Style and color come down to personal preference. It would be good if you can find a desk lamp that suits your style and is built with the features you need.